Paras Hi End Commercial – Sector 133 Noida Expressway. 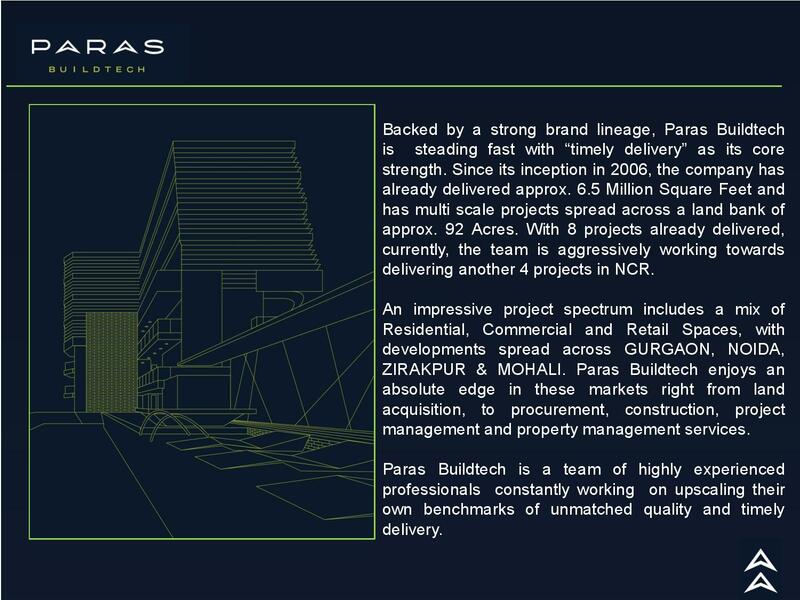 Paras Buildtech is now introducing their upcoming commercial project at Noida Expressway named as “ Paras hi End Commercial “. The project is strategically located at Sector 133 Noida, next to Jaypee Hospital. It comprises into three segments; Retail shop, Service Apartment and Hotel. Paras Hi End Commercial is spread over 2 acres of land where salable area is 2.35 Lacs square feet. It has Ground + 5 floors including 2 level basement parking. Furthermore, if you are willing to book your shop at Noida Expressway, then book your commercial space at Paras Hi End. Nov17November 17, 2016 • By ncrpropertyblog • This entry was posted in Commercial Space, Paras Hi End, Sector 133 Noida, Uncategorized and tagged Apartment, business, Paras Hi End, Paras Hi End Commercial, Real Estate. Bookmark the permalink. ← Lodha Codename Megastar – Exclusive Prelaunch Offers.